Developer website: Ohanaware Co., Ltd.
Is there a better alternative to Permissions Reset? Is Permissions Reset really the best app in File Management category? Will Permissions Reset work good on macOS 10.13.4? Permissions Problems range from not being to save your own work into your Documents folder, not being able to update files that others have sent you - all the way to applications not working correctly or even crashing! 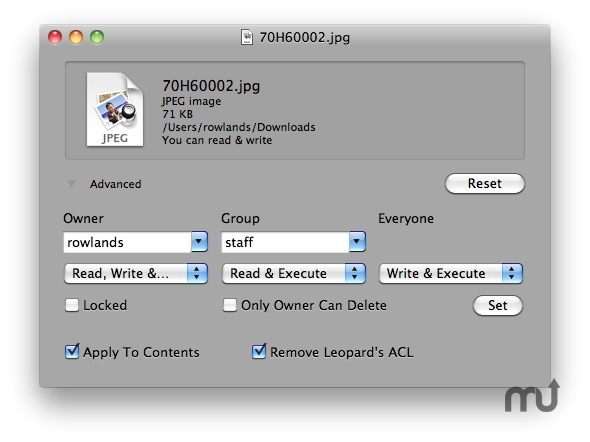 Permissions are a security mechanism that can control how you and others interact with files. Sometimes these permissions get incorrectly set, or messed up and then the pain begins.